Since I finished the Roman Stripes quilt I figure I can start another quilt! 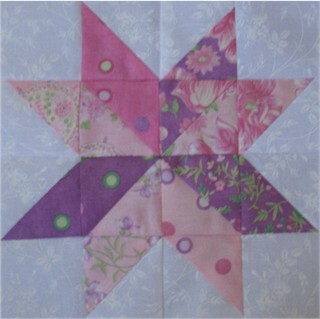 I decided to make a twin size version of the Antique Stars pattern from Calico Carriage Quilt Designs. The printed fabrics are from Moda. The white is a white on white from Moda also. This will make a great quilt for Christina’s bed. She loves pinks and purples! 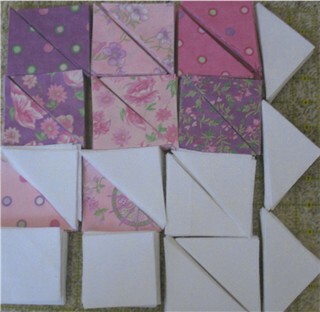 This is going to be a very pretty quilt! Is the header new? I like it! Very sweet and feminine looking. This should be fun to make. Hope your blogreader comes back. For heaven’s sake don’t lose me! !